Interesting. I made some pretty good progress on Grimoire cards in the alpha and beta. It looks like some of these may be fast tracks. Well, deciding which platform to purchase Destiny on just got much simpler. 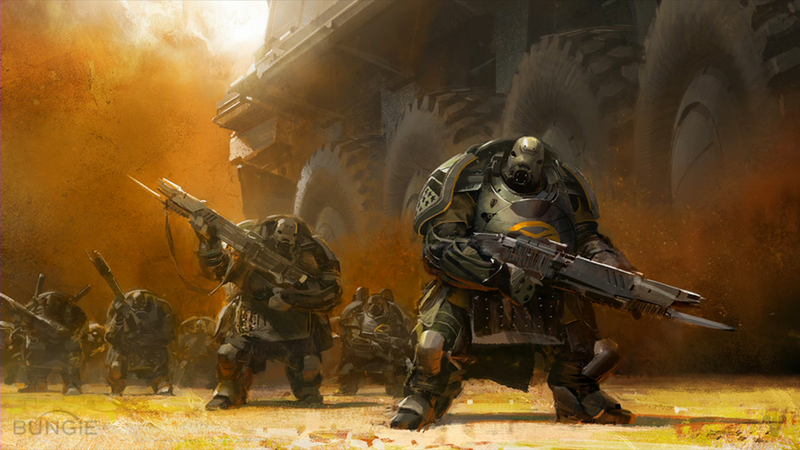 Bungie has revealed that those who digitally purchase Destiny on PS3 or Xbox 360 (i.e. via PSN or Xbox Live) can redeem a free upgrade to the downloadable version of Destiny on PS4 or Xbox One. The program applies to all Destiny "content," including either the standard or "Guardian" editions of the game itself, as well as the expansion pass. Those who redeem their free upgrade will be able continue playing their previous-gen version as well. In other words, if you upgrade your PS3 purchase to PS4, you can still keep playing your PS3 version if you wish. Naturally, there are a few restrictions. First of all, the upgrade has to stay within a given console "family," which is to say you can only upgrade PS3 to PS4 and Xbox 360 to Xbox One. You can't, for example, upgrade from PS3 to Xbox One (what do you think this is, Diablo 3?). Save data is transferable between versions but, again, only within the same console family. Wow. It doesn't apply to physical copies, but this is a great selling point. I could order the digital guardian edition for ps3 and get it for both my PS3 and PS4 for the 1 price. I could play it on my PS4 and switch to my ps3 to play with my brother that doesn't have a ps4 yet.. or, lady could log in with her account and play it on the ps3 by herself while I play on the PS4 at the same time. And we could use our accounts on either system. Its a shame I can't play with others on the older consoles on my ps4. omg. Now I have a choice to make.. should I cancel my limited edition and go digital or not.. hmm.. The Dust palace strike mission looks fun. I'll probably farm it a few times to get some good loot once I hit the right level for it. I like that live action trailer. Too cool. oh.. and it looks like my one brother wont be interested in getting Destiny for ps3 on launch. Sounds like he'll be waiting until he gets his ps4 and/or the game goes on sale next year. That leaves nobody for me to play this game on PS3, which means I'll be keeping my limited edition ps4 version. Unfortunately I have to work on tuesday. Maybe I'll pick the game up on my lunch break. Buffs and Nerfs day one. I'm surprised the Titan got buffs as beastly as a class it already is. I used the Hand Cannon the last day of the beta and wanted to like it. Although is power is impressive, it lacked in aim and capacity between reloads... the newest buffs seems much needed. The Assault and Scout rifle nerfs were necessary. The damn scout rifle had the same range as a sniper rifle, its really all I used during the beta. Head popping crits will have to be done from a little closer now. Nerfing the shotgun which already kinda sucked, isn't good. It already seemed like you needed to have the barrel up against a body to do any kind of significant damage. They should at least increase the mag capacity. Semi-Spoilers. There is the maps for every available area. I've also read that although Level 20 is the initial cap, You can Motes of Light to progress to higher levels required for these strike missions. The Reef seems to be the expandable zone for future development. This game is probably going to be GW2ish and add areas to the game later down the road. Its hard to compare the two because in GW2 everything is connected in one planet, with just parts of the map blurred and inaccessible until the developer unlocks it. In most cases there is a physical door/gateway/portal you are told you cannot enter at that time. The Reef seems to act as that device. Pure speculation since he only shows a few seconds of nothing when he tabs into it.